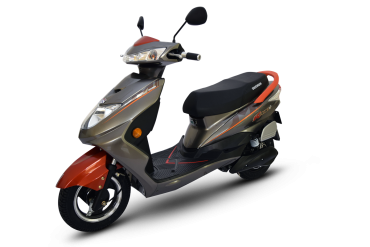 Electric 2-wheeler brand Okinawa has launched its Ridge+ e-scooter featuring a detachable lithium-ion battery. It is priced at Rs. 64,988 (ex-showroom). The Ridge+ features a V-shaped headlamp, while the turn signals are placed on the handlebar housing. It is powered by an 800 watt Brushless DC (BLDC) motor and a lithium-ion battery, which can be removed for charging and offers a claimed range of 120 km on a single charge. The scooter has a claimed top speed of 55 km/h. The Ridge+ has drum brakes at both ends and it comes equipped with Electronic-Assisted Braking System (E-ABS) with regenerative braking. 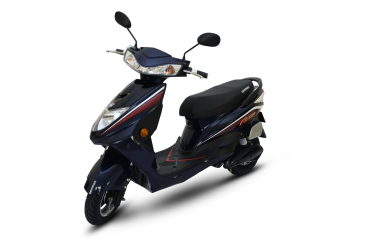 It also has a feature called 'Find My Scooter' that allows the rider to locate the scooter remotely. Okinawa plans to roll out 500 units of the Ridge+ in select states during the month of October 2018. An additional 1,500 units are planned for the month of November. The scooter is available in 2 colour options - Lucent Orange / Magna Grey and Mid Night Blue.